If you're in need of a Hallandale Slip and Fall Attorney you can always depend on, call the Law Offices of Robert E. Gluck, P.A. Robert Gluck specializes in slip and fall cases and has been representing clients like you since 1989. When you hire him, he will make you his top priority and will go above and beyond to provide you with the legal guidance you need. It's important to hire your Hallandale Slip and Fall Attorney immediately after your accident. The sooner you hire Robert Gluck, the sooner he can start investigating your claim. If you've fallen on a residential or commercial property and it was caused by negligence on the part of someone else, you may be eligible for financial compensation. Negligence is the legal standard a reasonable person must follow in order to avoid injury to other people. Your Hallandale Slip and Fall Attorney Robert Gluck will gather all the evidence he needs to prove negligence and build a strong case for you. He is completely dedicated to making sure his clients get the positive outcome they deserve. 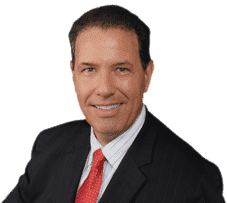 As your Hallandale Slip and Fall Attorney, Robert Gluck will locate and speak with witnesses, take photographs of the accident scene, secure any video surveillance, and obtain any other evidence he believes will help build a strong case for you. He will take care of all the details of your case so you can focus solely on healing your injuries.